UK: Grid specialist Siemens has launched a demonstration project in conjunction with two UK universities to trial the use of ammonia as a renewable energy storage solution. The £1.5 million (€1.7 billion) project is being carried out in partnership with the UK’s Science and Technology Council, the University of Oxford and Cardiff University. It works by using surplus renewable energy to power water electrolysis, producing hydrogen, and also extract nitrogen from the air. Combining the two gases produces ammonia (NH3). Ammonia is typically used in farming as a fertiliser, however it is traditionally a carbon-intensive process to produce. Siemens, and its partners, said this new process is carbon free. 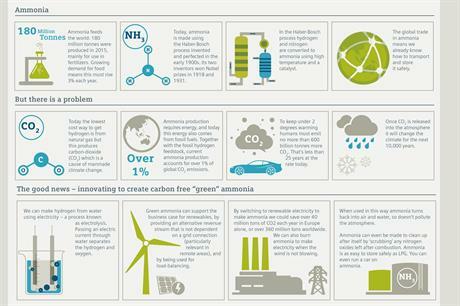 Ammonia can also be used as a fuel for gas turbines, according to Siemens. It can therefore act as a long-term and transportable energy storage solution. 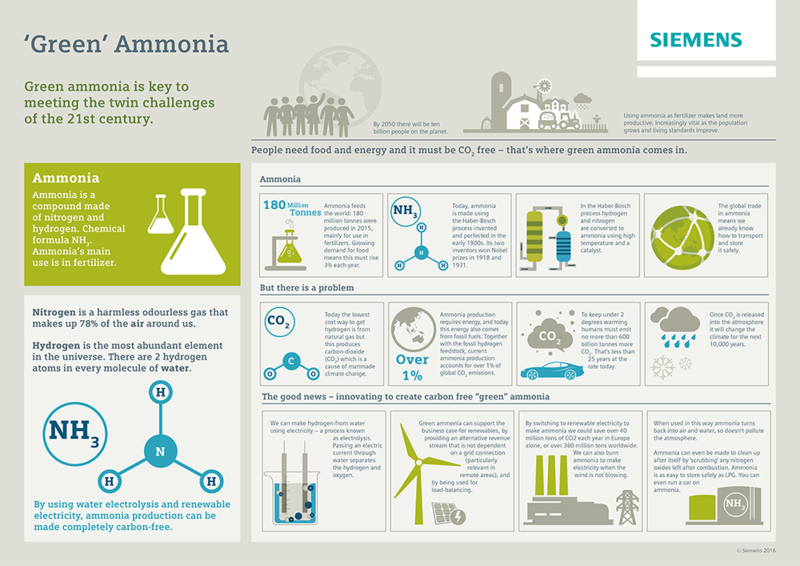 "Using renewable electricity to make ammonia for fertiliser manufacturing has the potential to save more than 40 million tonnes of CO2 each year in Europe alone, and over 360 million tonnes worldwide," Siemens said. When burned, ammonia produces nitrogen and water, and does not emit carbon. Ian Wilkinson, programme manager at Siemens, said: "Carbon-free chemical energy storage — including green ammonia — has the potential to work alongside other storage methods such as batteries, and help increase the penetration of renewable power into our energy systems. "This demonstrator, and the work we’ve done with colleagues from academia, shows that green ammonia is a viable option and can help reduce carbon emissions from existing industrial processes as well as provide a means for transporting and storing renewable energy in bulk."